What first attracted you to becoming a veterinary physiotherapist? From a young child I had always wanted to be a vet. A spinal problem with my horse led to me seeking the help of a ‘back man’. I was fascinated watching him work and started to research how to become a physio/ osteopath/chiropractor. 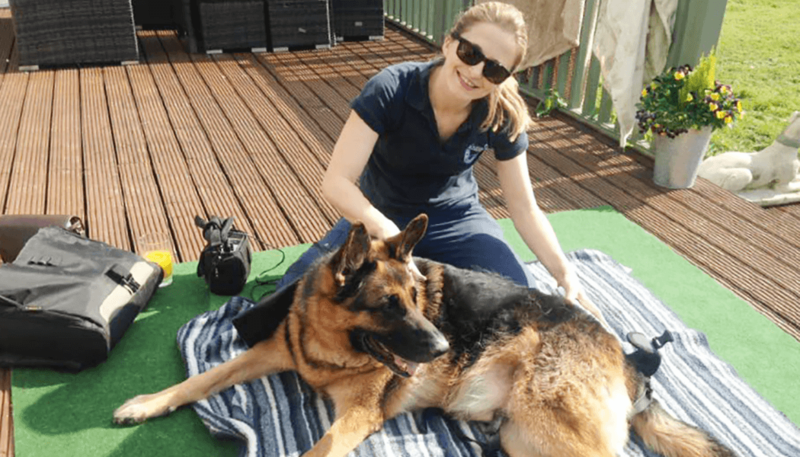 I learnt about ACPAT (The Association of Chartered Physiotherapists in Animal Therapy) and in order to become a Chartered Physiotherapist and work with animals, I first had to undertake a BSc (Hons) in Physiotherapy. Following a 3 year degree, I began work as a human physiotherapist within the NHS setting. I left the NHS 3 years later and embarked on post graduate training through ACPAT and qualified as a Chartered Veterinary Physiotherapist. Initially I set up my own business treating equine, canine and feline cases at the homes and stable yards of owners. During this time, I met Professor Noel Fitzpatrick and I began treating some of his cases either at home or at his clinic. In 2007, Noel offered me the opportunity to come and work for him at his new centre in Eashing, Surrey. 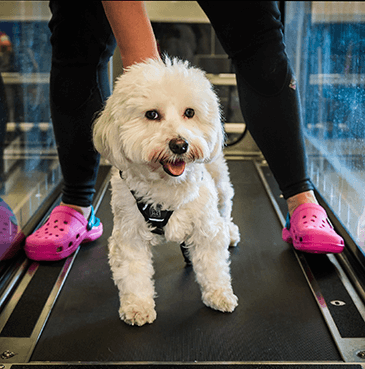 During my time at Fitzpatrick Referrals, I have had the opportunity to treat a variety of complex orthopaedic and neurological cases with physiotherapy and hydrotherapy. Four years ago, I became Rehabilitation Team Leader and this has added another dimension to my role. What is the thing you like most about your role and why? I mostly enjoy the diversity working at Fitzpatrick Referrals brings. No two days are the same and I thrive on facing new challenges on a daily basis. The combination of my clinical and administrative roles adds to a busy but interesting day. Our rehabilitation department has now grown to include 14 team members, and working in such a team with the same aim of returning patients to a pain-free functional life is so rewarding. 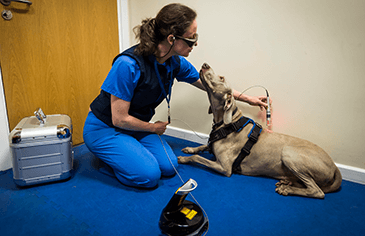 Share some insight into your daytoday role at Fitzpatrick Referrals. Within my dual role, my time is divided between seeing a busy caseload plus looking after my team. I can see up to 10-14 cases per day. No two patients are the same so each treatment program is varied. This is the fun part - being presented with a patient and working out our treatment goals and how we are going to achieve them. Our treatment approach in physio is a combination of ‘hands on’ therapies, electrotherapy and exercise therapy. 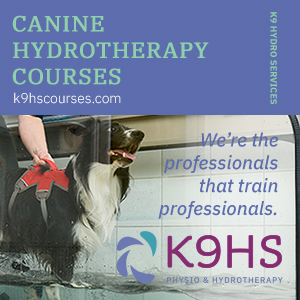 We also implement hydrotherapy programs that work alongside our physiotherapy plans. I am currently based in outpatients but we also have team members that work purely in our acute inpatient setting. Introduce us to your team. What are the different roles at the practice? Our rehabilitation team comprises of 7 Chartered Physiotherapists that are all ACPAT registered. We utilise the skills of two of the physios in inpatients, and two continue the care over the weekend. The rest of the physio team is based in outpatients. They treat our ‘in house’ cases along with any direct referral work. We also have a 7 strong team of hydrotherapists who are all ABC Level 3 trained and CHA members. We work well as a team with one single vision: to deliver world-class rehabilitation treatment for every patient entrusted into our care and to reassure worried families by providing hope and healing in equal measure. That is why each and every member of the rehabilitation team is not just chosen on academic and clinical excellence, but also because of their compassion. 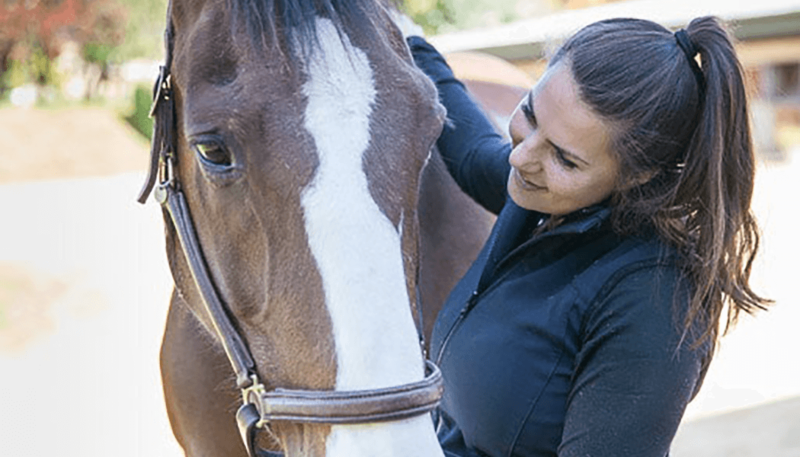 We treat each and every animal as if it was our own, and understand how important it is to maintain a high level of communication with all parties, including the patient’s family, clinicians as well as our own rehab team. What sets Fitzpatrick Referrals apart from other rehabilitation services? At Fitzpatrick Referrals, we sincerely want to deliver unrivalled levels of compassion, expertise and care for every patient that comes through our doors. To ensure we give the very highest level of care, our rehabilitation centre has the most advanced facilities including a hydrotherapy pool, underwater and land treadmill, muscle stimulation, laser therapy, shockwave therapy, an outdoor exercise therapy arena and a visiting acupuncturist. We have the latest facilities because technology is changing all of the time – it is the future and essential in delivering effective treatment. Some of our surgical modalities are not available anywhere else in the world; so establishing suitable rehabilitation protocols for these cases is really rewarding. Seeing the results for such patients is truly fulfilling. We are also in the fortunate position as a department of being able to offer a 7 day a week physiotherapy service. This means our in-patients receive a continuity of care which ultimately expedites successful outcomes. 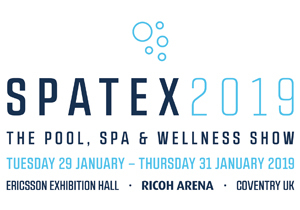 Our hydrotherapy service is also extensive covering 6 days a week including evening clinics and an early bird session so clients can visit before work. We strive to ensure we always deliver genuine value for our clients and patients. We maintain our strong family values as an independent company and always will be driven by the needs of our patients. Fitzpatrick Referrals will always be about patient welfare and giving our patients all of the options available. Our patients are at the very centre of what we do and rehabilitation is so important in their recovery process in order so they can go back home and live a fulfilling quality of life. As a developing and ever progressing department, we enjoy taking on new challenges and welcome all new cases that we see. 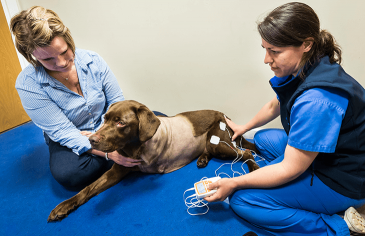 Of late we have been involved with Fitzpatrick Referrals’ new venture FORWARD, which looks to offer a comprehensive and timely approach to the care and rehabilitation of competition and working dogs. What are some of the typical cases/patients you see? Have you noticed a pattern? We commonly see spinal cases – both surgical and non-surgical. Each case presents with some common signs but at the same time, no two cases are the same. 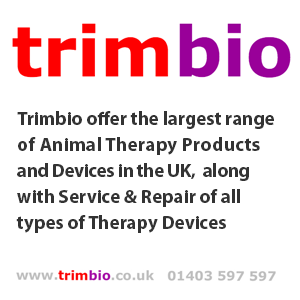 Our ultimate aims are to return the patient to a life where they can function appropriately. If a normal return to function is not achievable, then as problem solvers we attempt to put in place adaptive measures to make the patient’s life as easy as possible. Often the spinal cases are rehabilitated with a combination of physio and hydro. Each individual patient program is constantly monitored and progressed as necessary. Fitzpatrick Referrals performs some techniques not available elsewhere and we specialise in 3D printed custom implants. This means no two cases are the same, but we commonly treat regular surgeries such as THR (Total Hip Replacement), TPLO (Tibial Plateau Levelling Osteotomy) and elbow osteoarthritis patients. Whilst we are mindful of the patient’s diagnosis, as therapists we are also concerned with the effect that the patient’s condition has had on the rest of their body and we address any associated compensatory gait and postural changes. We embrace a holistic approach. What has been your most memorable patient? I remember each and every patient for different reasons, but Pip the cat specifically stood out to me because I was in the fortunate position to be involved in the first TKR (Total Knee Replacement) in a cat. Pip was the most gracious cat when it came to implementing his physio program. He never complained and took everything in his stride. It was such a delight to see him progress from not using the leg to gently loading it to walking normally and then finally being able to be a true cat and climb a tree. 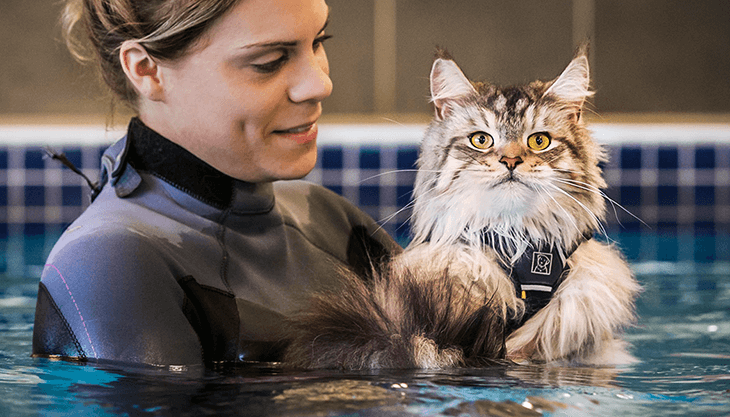 Each step was a small step and it took time to get there, but with the extensive effort also put in by his family and the hydrotherapy team, we achieved the desired goal of him living the life of a normal cat. Do you have any key advice for the families of recovering patients? Whatever diagnosis is made for a patient and whatever their current status is, the key to effective rehabilitation is early intervention. Many physiotherapeutic treatments in the initial stages are quite simple but equally vital at preventing secondary complications. As discussed earlier, normal movement and function is key to providing a successful outcome. 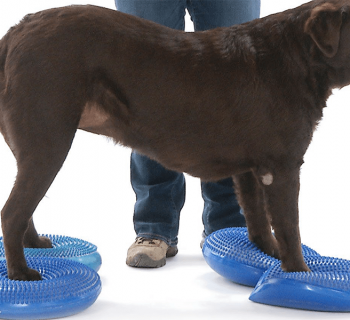 What do you think are the most interesting things happening in veterinary rehabilitation right now? And what is the future of veterinary rehabilitation? 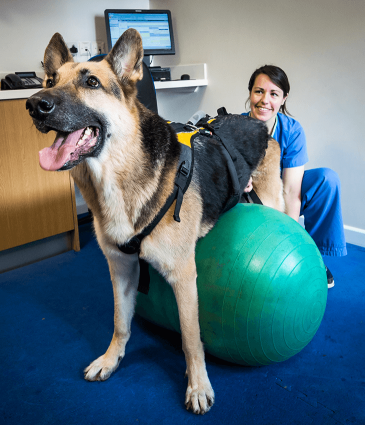 Since 2000, the post graduate training for a Chartered Physiotherapist has been to either undertake a Diploma or MSc in Veterinary Physiotherapy. This brings an exciting progression of the profession from a research point of view. 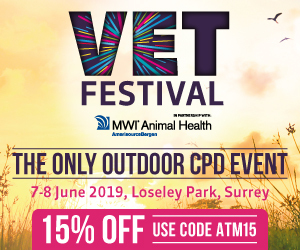 There are many more opportunities for Physiotherapists to prove that their work in the veterinary field is having a positive effect. The advent of the American College of Sports Medicine and Rehabilitation also heralds a new era of vet-physio cross pollination of effort and understanding. Professor Noel Fitzpatrick was the first orthopaedic specialist in the UK to gain this prestigious qualification. 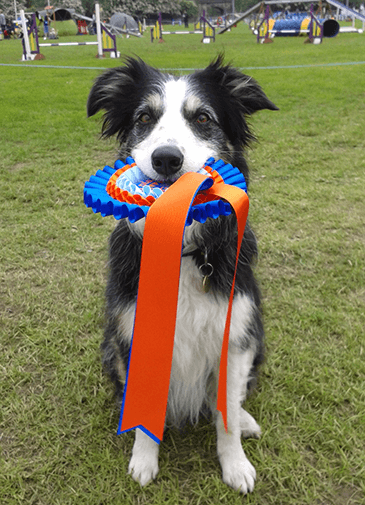 History: Following a time of poor performance in agility competitions, Fern was diagnosed with hip dysplasia of her right hind leg when she was 4. Fern went on to have a THR of her right hind at Fitzpatrick Referrals. She was referred for physiotherapy 3 days post operatively. Observations: Initial observations included poor limb loading, soft tissue swelling, muscle wastage and an abnormal gait pattern. 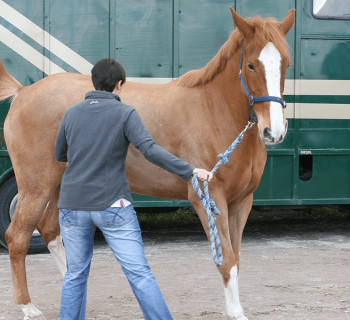 Treatment: Fern was treated using soft tissue techniques, laser to promote healing, careful stretches and ROM (Range of Movement), muscle stimulation and a progressive exercise plan. 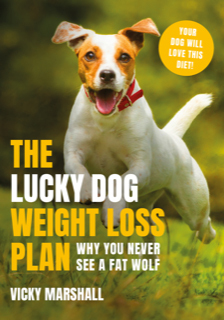 Her owner was given extensive advice re how to implement her plan at home and how to perform daily exercises that would in time strengthen her leg. 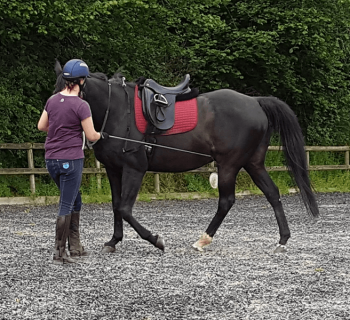 Outcomes: After 3-4 months, Fern was much stronger and had regained a more symmetrical gait pattern. We began to carefully introduce basic agility type physio exercises. These were progressed appropriately until we were able to suggest that Fern starts low level competing. 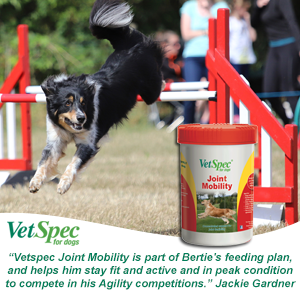 Fern hasn’t looked back and despite a couple of other musculoskeletal issues getting in the way, she has gone from strength to strength. 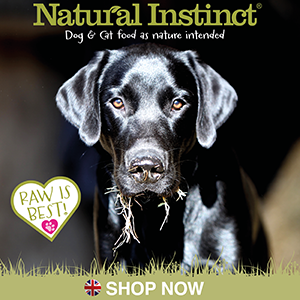 Fern is now back to competition level - she qualified for the finals at DogFest in June.